At Frog Prince, we are passionate about one thing: your wedding day. We know how much it means to you, and from the moment we meet you, we share that excitement. From the smallest of nuptial celebrations to the large and lavish, our one goal is to help your vision become a reality so you can start making memories that you’ll cherish forever. Frog Prince owner Sharon Griffin lives in Dublin with her husband, Steven, and their two young sons. 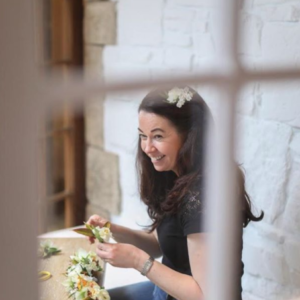 She has been in the event design and styling business for over a decade, with an strong background in marketing and events, a flare for floristry and an ever-present and very prominent creative streak. Her varied work and education history led her to start Frog Prince, giving her a chance to do what she loves best. Eleven years ago, Sharon was planning her own wedding and saw a gap in the market for a provider who combined florals, design and furniture and accessory rental for engaged couples. And so the idea for Frog Prince was born. 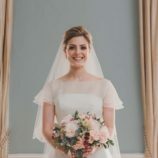 Sharon says her favourite part of her job is the exciting chat with a couple about to be married, hearing their plans and exchanging ideas about their perfect day.